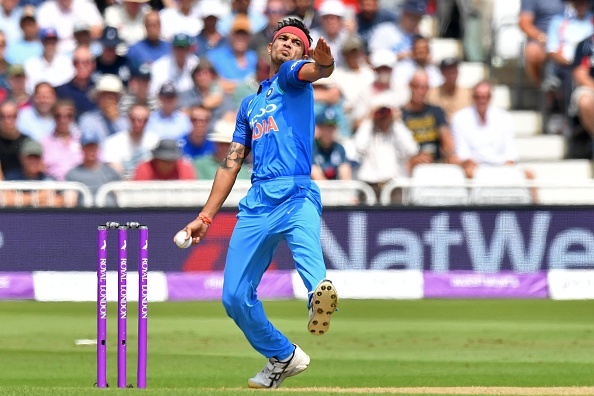 Kaul made his T20I debut for India against Ireland. India has rested their three bowlers for the last T20I against West Indies. 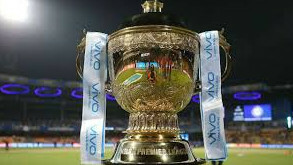 They announced that seamers Umesh Yadav and Jasprit Bumrah, and chinaman Kuldeep Yadav will not be in action for the third T20I which is set to be played in Chennai on Sunday. 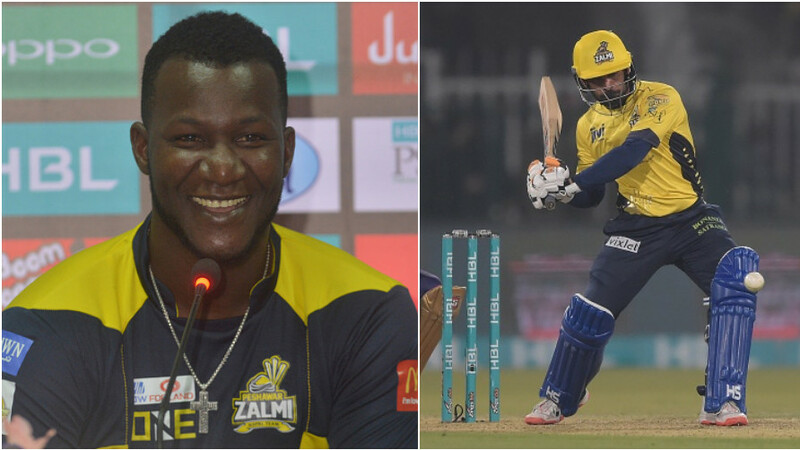 They want their key bowlers to stay physically fit before the tour to Australia which will be played later this month. 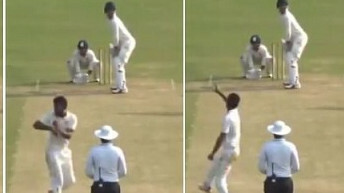 As two pacers are rested, the Indian selection committee decided to add Siddharth Kaul as a replacement in the squad. The news must have delighted the fast bowler and it was visible to all of us as Kaul ended up making a hilarious mistake. After the news broke out, Kaul quoted BCCI's official tweet and congratulated himself. 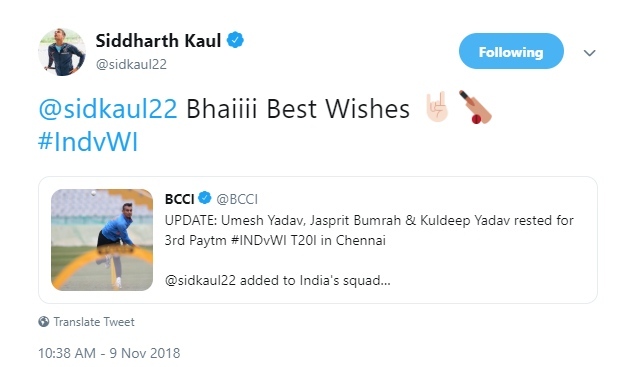 ‘@sidkaul22 Bhaiii Best Wishes #INDvWI,’ he wrote in his tweet. It looks like a mistake by his PR team, as the person behind it forgot to shift from Kaul's account to his personal account. The mistake was realized soon but it was too late. Kaul has already played 3 ODIs and 2 T20Is for India.